A transactional email is an automated email that is sent to a customer immediately after a conversion. This will normally inform the customer of the details of their purchase, including the price, delivery timescales and instructions (e.g. directions) if it is an event or service. As the customer has just made a commitment to a purchase this is also a good time to make additional requests (e.g. social share), share other content or make offers to achieve an additional conversion (e.g. up-sell or promote related products or services). 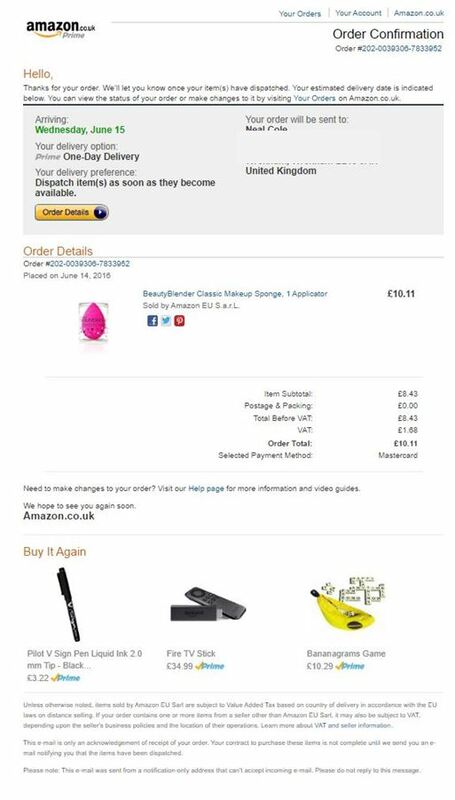 This transactional email from Amazon confirms the item purchased, but also displays other recently bought items that the customer may want to buy again.